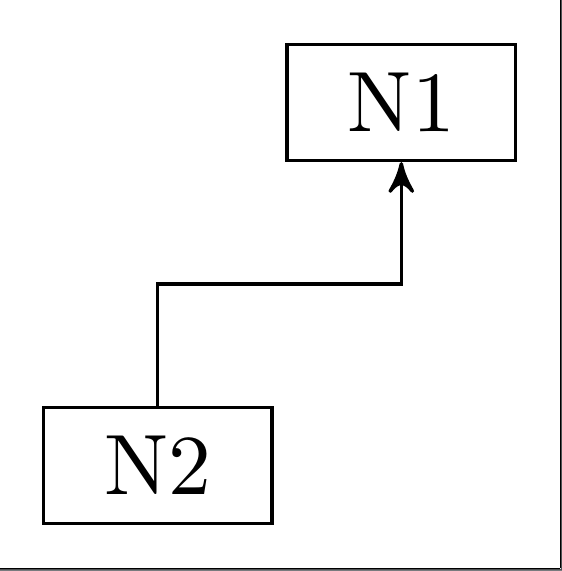 I have a simply example to connect two node with a arrow line. but I doubt it's not the best way to do such things. Node location is fixed but maybe distance is unknow. Connection line should be vertical or horizontal line. 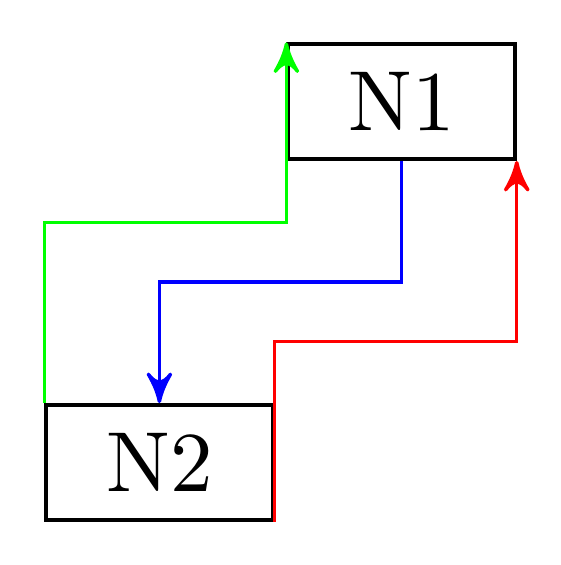 Change direction between the middle of two nodes. You could use the calc library to avoid having to draw the path separately. Is this the kind of thing you want?